Cherry Blossom Guest Information Cards are available on white or ivory hammered card to match your Cherry Blossom Wedding Invitations. A6 size they are suitable for gift wish poems, see ‘Wording Ideas’ for a selection of gift poems. 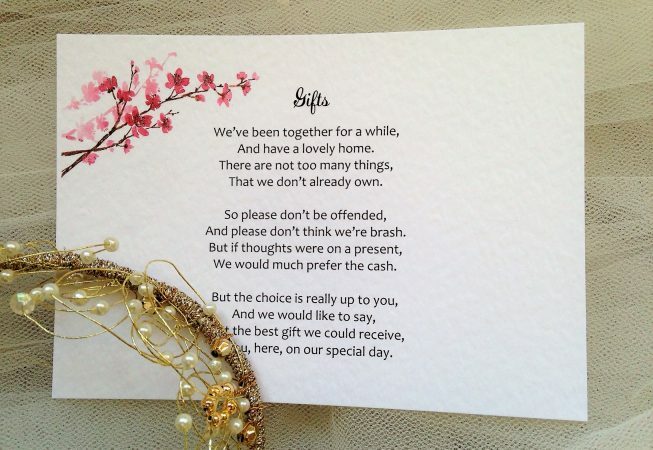 Cards can also be used to provide your guests with information such as venue directions, accommodation recommendations, taxi and travel information. 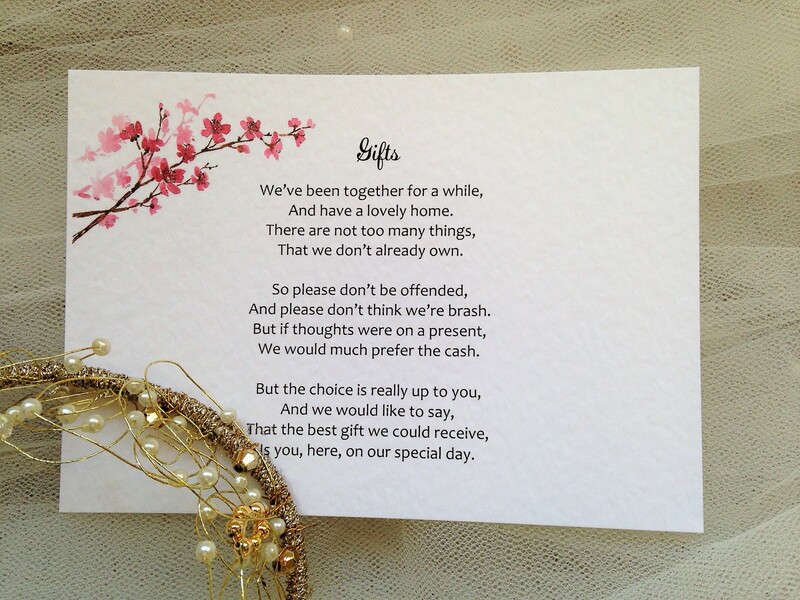 We can print in any font and colour to match your wedding invitations. 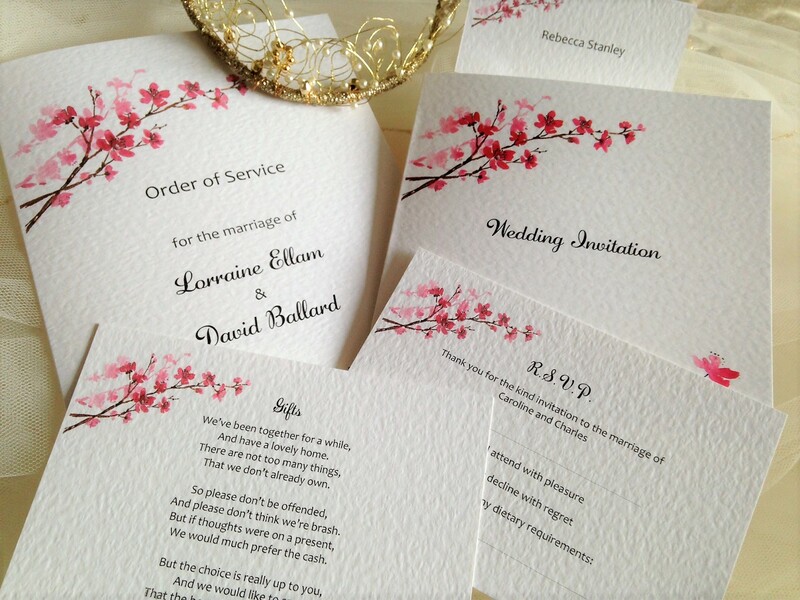 Cherry Blossom guest information cards are part of our Cherry Blossom Wedding Stationery range. Check out our reviews on Trustpilot and Freeindex and order with confidence. All personalised printing in a font style of your choice.